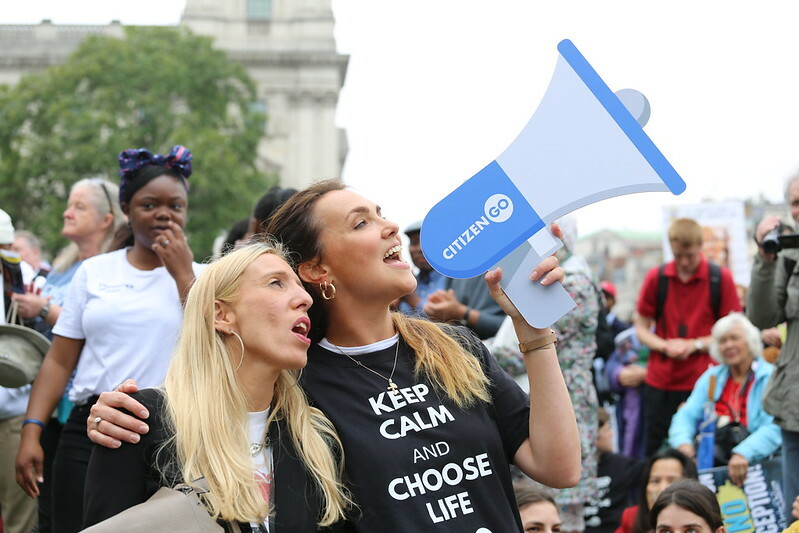 CitizenGO is an independent, non-profit, global grassroots activism organization that works to ensure that the views and values of everyday pro-life and pro-family people inform global decision-making. We are a movement of ordinary people from around the world standing up for liberty and fundamental human rights. What we do works. Together we’ve influenced the outcomes of United Nations summits, held rallies across the world to defend marriage and the rights of children, campaigned to protect the life of the unborn, and donated hundreds of thousands of dollars to support persecuted Christians in the Middle East and Africa. We rely entirely on donations and receive no money from governments or corporations. Our tiny online team ensures even the smallest contributions go a long way. Donate now using the form! Consider making your contribution monthly; it will help sustain CitizenGO's work year round. If you encounter any problems with this page or have any questions or comments please email us at english@citizengo.org. CitizenGO.org is secure. Our donation process is fully encrypted to ensure all personal and financial information is kept safe. I want to become a CitizenGO Champion: Make my contribution a recurring monthly donation. This number is placed on reverse side of the card.